Maybe you had a long period of unemployment. Maybe you had a medical disaster that resulted in a lot of unpaid bills. And maybe it was just plain overspending. Whatever the reason, you’ve joined the millions of Americans who have credit scores below 630—which means you have bad credit. Luckily, it’s still possible to get a credit card from a bank that specializes in offering credit cards for people with bad credit. Steer clear of prepaid debit cards if your goal is to build your credit history. While those are useful financial tools, they don’t actually improve your score. If you have no credit or very low credit, your best bet may be a secured credit card. That means you pay a refundable deposit, which helps the card issuer feel better about taking a chance on you. Of course, you’re looking for a deposit that’s as low as possible. Depending on how bad your credit is, you may be looking at a deposit between $50 and $200. Annual fees are also a factor. Many credit cards for poor credit charge an annual fee. Some annual fees can go as high as $500—but please don’t be taken in by these credit card offers. Even with a low credit score, you should be able to find a card with a fee below $100. If you’re hoping to transfer a balance from one of your existing cards, look for a credit card deal that has a low transfer fee. Most balance transfer credit cards charge a fee based on a percentage of the amount you’re transferring, anywhere between 1% and 5% of the total. If you have tens of thousands of dollars of debt, a 5% balance transfer fee can be quite a chunk of change. 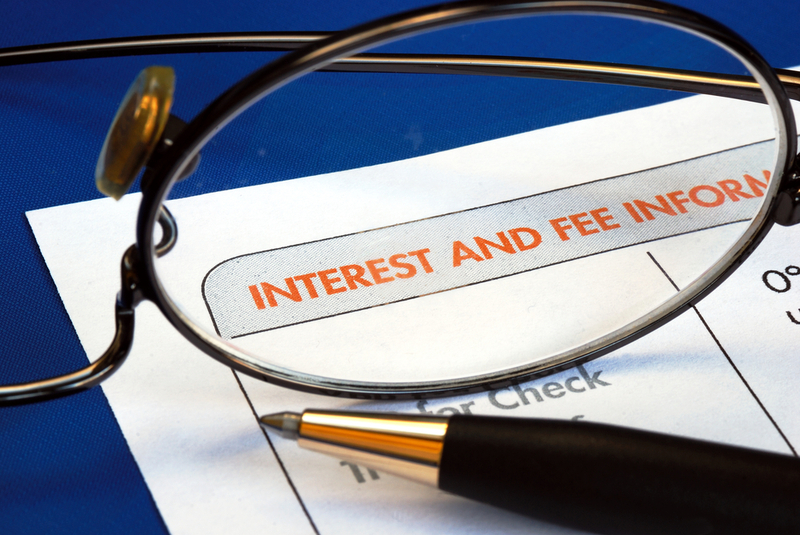 Fees below 3% are realistic, although you may find that it’s hard to get a zero interest transfer deal if your credit score is very low. There are some rewards credit cards out there for people with poor credit, but they are more likely to come with higher fees. If you can find a decent deal that gives you travel rewards, points, or cash back, go for it. But right now your priority is rebuilding your score—not getting a few airline miles. Once your score is back in the fair-to-good zone, you can reward yourself by finding a card with extra perks. But for now, focus on finding one with low fees. Pay your bills on time, keep reducing your debt so your balance is a smaller percentage of your overall available credit, and your score will be well on the way to recovery. Credit card fee image via Shutterstock.